While some affairs worked out, others went in for a toss and the actresses went ahead to get married to other men. But who were these actresses, whom were they involved with and in whom did they eventually find love? From being linked-up with multiple men, the most prominent one being the Rekha and Amitabh pair. And theirs was an affair to remember! From rumours of them getting secretly married to one of the most superb on-screen chemistries that you will still find today, Rekha was reportedly head-over-heels in love with Amitabh Bachchan. But as luck would have it, Amitabh was already married to Jaya Bachchan and ultimately, their love did not bear fruit. 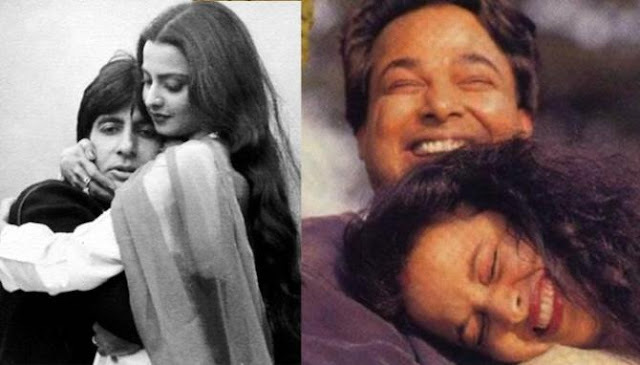 That’s exactly when, Rekha moved on from Big-B and married a Delhi-based business tycoon, Mukesh Agarwal. 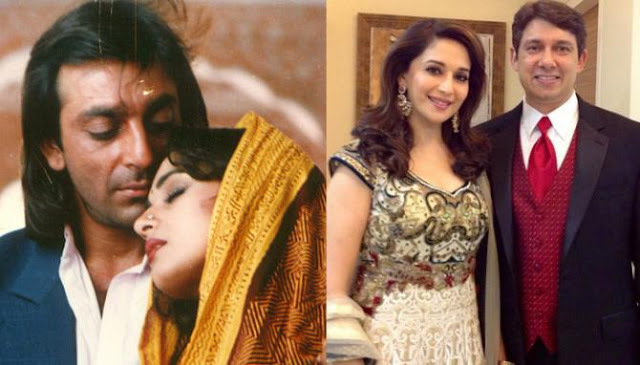 This Dhak Dhak girl of Bollywood, Madhuri Dixit and her once rumoured beau, Sanjay Dutt had delivered innumerous hit films together and fell for each other when things were not doing fine in the latter’s life. Both Madhuri and Sanjay were quite ‘a thing’ in Bollywood in the 90s. The duo’s affair started to develop when Sanjay’s first wife, Richa Sharma was suffering from brain tumour. Sanjay was arrested for illegal possession of arms under TADA and that is exactly when Madhuri probably thought that it is a wise decision to distance herself from him and on October 17, 1999, Madhuri got married to USA based, Dr. Sriram Nene. This was yet another ‘height of romance’ from the 90s. After a couple of linkup stance from A-listed stars like, Aamir Khan, Abhishek Bachchan, it was her affinity with Govinda that had stirred the maximum attention from media. The actors got close to each other while working in Hadh Kar Di Aapne. 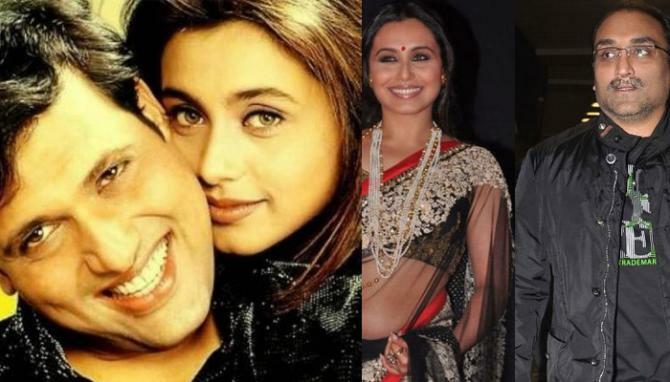 It was also reported that once Govinda was seen walking out of Rani’s hotel room late in the night which infuriated Govinda’s wife, Sunita and she had thought of leaving him. But Govinda chose not to part with his wife and the rest is all history. What began beautifully, ended up being one of the most controversial and ugliest spats in Bollywood. The beautiful Aishwarya was in a committed relationship with superstar, Salman Khan. The Kajra Re star had once stated that it was due to Salman’s verbal, physical, emotional abuse towards her, infidelity and indignity that led to the split. And later on, Aishwarya moved on in life and went ahead to become a Bachchan bahu by marrying Abhishek Bachchan. 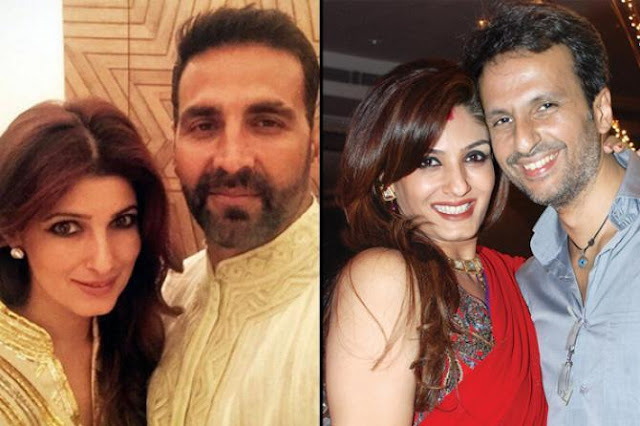 Raveena Tandon and Akshay Kumar were smitten with themselves and soon after, their on-screen romance eventually transformed into a real one. And hence began one of the most heartbreaking love stories of Bollywood. Things were going fine between the once in love couple, and they were often spotted spending quality time together. Now a complete family man, Akshay was quite a casanova who had flings with multiple actresses of his times. 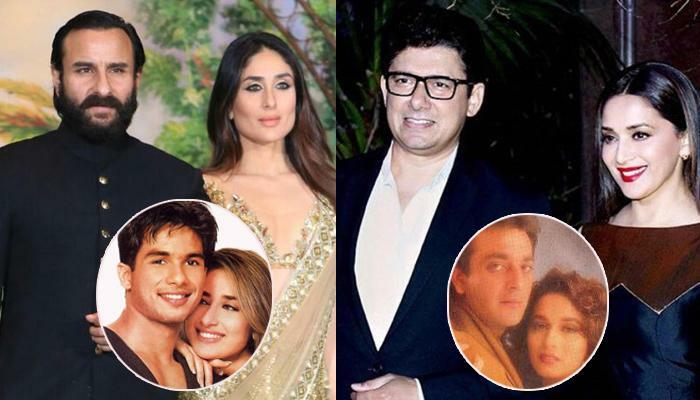 Things took an ugly turn and went on a standstill when ‘enough was enough’ for Raveena and she spoke of her estranged relationship and what made her finally call it off with Akshay. From being widely praised for her performances in movies, Kareena was also widely discussed for her flings with her co-stars and honest interviews. 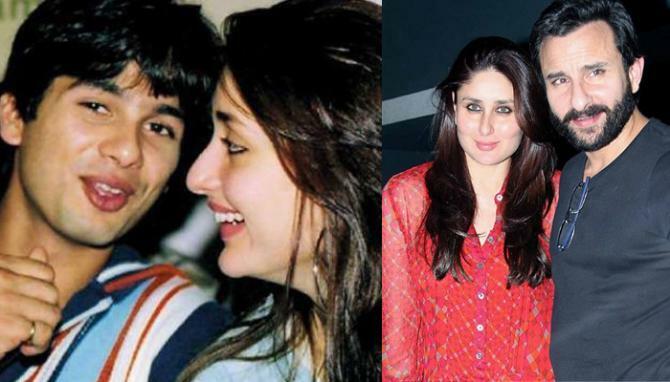 One of Kareena’s most prominent affairs was with Shahid Kapoor. Kareena and Shahid were quite serious about each other but soon fell out of love. The now ex-couple went on to do multiple films together and almost all of them failed to impress people at the box office. Bipasha Basu and John Abraham were one of the most-loved couples of Bollywood. The now ex-couple was in a relationship for over nine years and everyone thought that they will surely end up getting married. But as luck would have it, Bipasha and John broke-up and both went ahead in their respective lives. Ranveer Singh made his debut with Anushka Sharma in the movie Band Baaja Baarat. The film was entertaining to another level and that’s exactly when Ranveer and Anushka’s love started blossoming. 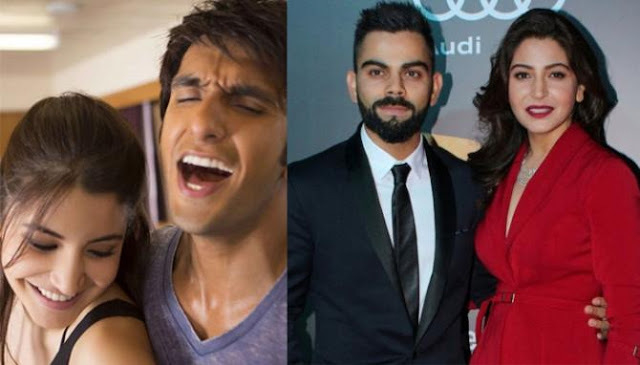 Soon after, news was all about Anushka and a super-energetic newcomer, Ranveer Singh’s budding relationship. Their love story was however, short-lived and both moved on in their respective lives and still continue to be great friends. This is an affair that not many of you know. 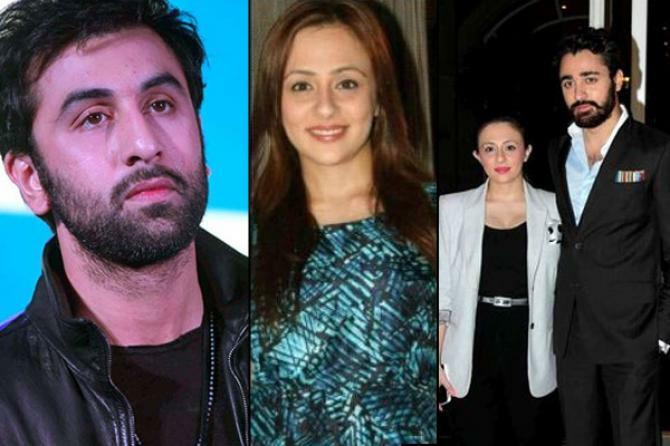 Now Imran Khan’s wife, Avantika had dated Ranbir for over 5 years in the past! Yes, you read that right. Avantika was one of the performing child artists in popular serial, Just Mohabbat. Ranbir reportedly, was so smitten with Avantika that she used to visit him on the sets of the show every day! Soon after separating, Avantika found love in Imran Khan and after 8-years of dating each other, the couple tied the knot in 2011.